Serrano is one of the largest and one of the most desirable neighborhoods in the upscale community of El Dorado Hills. Just 25 miles from downtown Sacramento and 60 miles from the shores of Lake Tahoe, location is one of the many reasons why Serrano is a haven for families, retirees, and entrepreneurs. 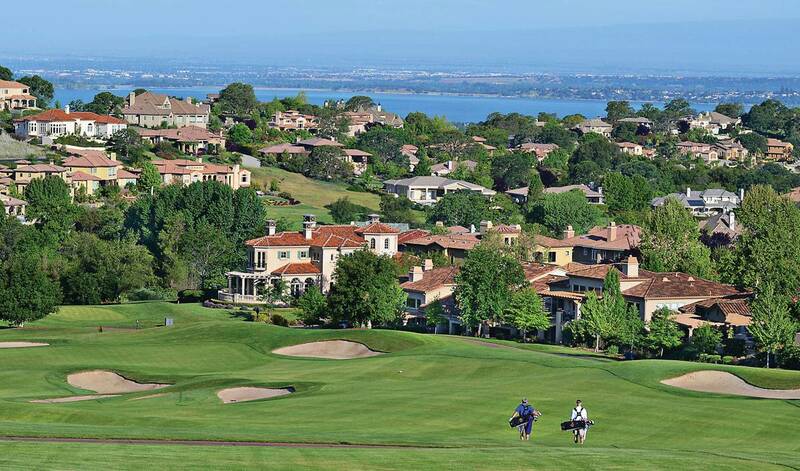 Serrano offers a wide range of single family residences – from homes within walking distance to award winning schools to custom golf course homes with views of Folsom Lake. Much like the rest of El Dorado Hills, Serrano homes are sectioned up into smaller individual "villages." Serrano was developed by Parker Development but each village was built by various homebuilders including Shea, Standard Pacific, and Pulte. Visitors will also notice that Serrano is divided up into two basic parts, the semi-custom villages, and the custom home sites along Greenview Drive. While all of Serrano is beautifully maintained and landscaped, the custom side has much larger lots, and makes use of the golf course and Folsom Lake views. Homes in this area generally range from the $800,000's on the low end, up to around $3 million dollars. The semi-custom Serrano homes generally range from the low to mid $400,000's to just around $900,000 for the larger homes along the ridgeline with a valley view. Serrano in El Dorado Hills has numerous parks, hiking trails, and award winning schools. The Serrano Golf & Country Club has an award winning par-72 golf course and luxurious facilities.